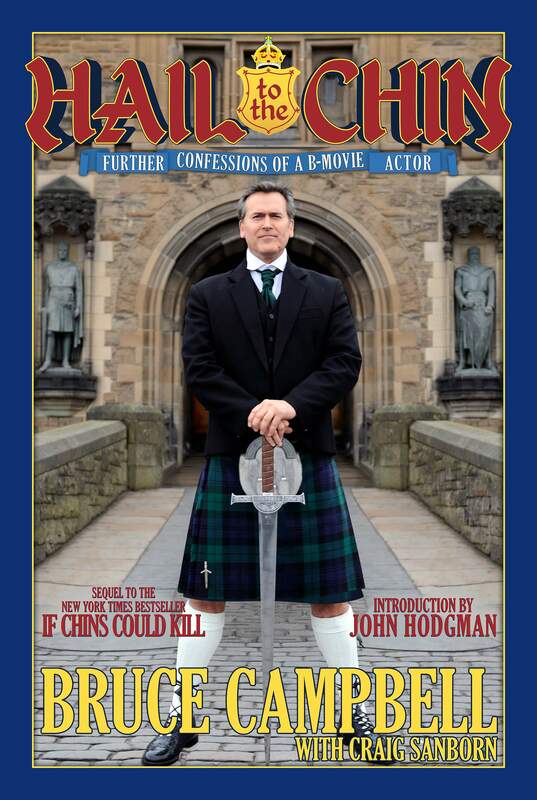 Hail to the Chin: Further Confessions of a B Movie Actor, by Bruce Campbell, Thomas Dunne. 336 pp. $27.99. “Frankly, I can never be far enough from Hollywood,” wrote lantern-jawed Bruce Campbell in his 2001 memoir If Chins Could Kill. Now, in this variety pack of “further confessions” titled Hail to the Chin, the self-styled “B movie actor” recounts trading smog-clogged L.A. for a lavender-carpeted hillside in southern Oregon, then shooting films and TV series in Bulgaria, Colombia, New Zealand and his native Michigan. Even if Hail to the Chin doesn’t make Bruceniks of us all, die-hard fans will embrace it as canon. Here the faithful will learn that English-born actress Gabrielle Anwar – Campbell’s tough and fearless co-star on the seven-season “Burn Notice” – was “never one to hide her raw emotions” from an overcautious director. Fans will also discover that headliner Jeffrey Donovan, 10 years Campbell’s junior, “became like a younger brother to me.” And they will savor the news that big bad Bruce turns the wild lavender on his Oregon property into sweet-smelling soaps and sachets – ideal gifts for the fragrant Teamsters on the Miami-based set.